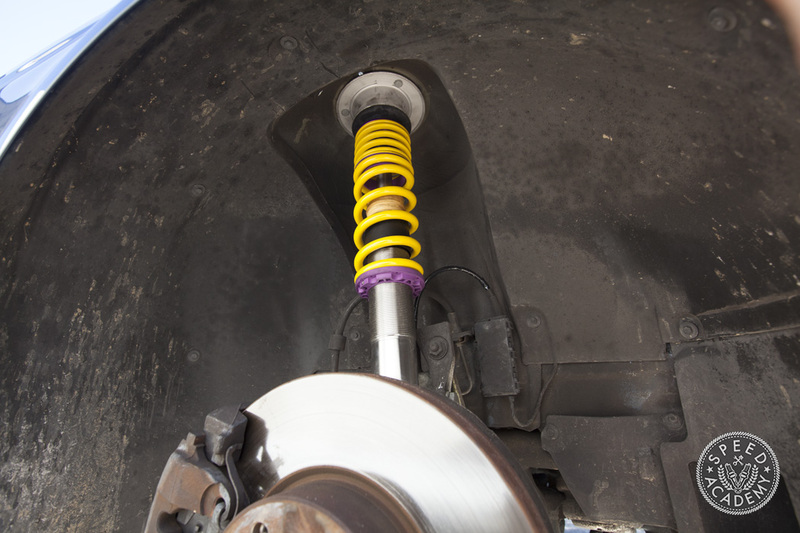 One of the first modifications I perform on most of my older cars that I purchase is upgrading the suspension. My reasoning is two-fold. 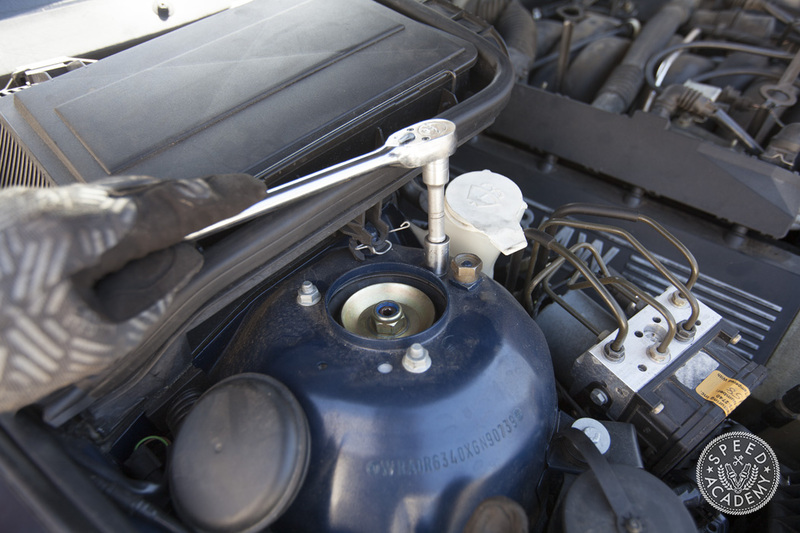 First, the stock stuff is almost always worn out and needs replacing anyway. More importantly though, stock ride height is so hard on the eyes. I’m that guy who is always turning around and staring at my car as I walk away from it. When I see it sitting at stock ride height, it shoots daggers at my eyes. Since I’m trying to keep my eyesight 20/20, new suspension was a priority on my E39 Touring. After some quick research online to see who makes a coilover kit for E39 BMW wagons, I was relieved to find out that KW Suspension had an application. There are actually very few companies that make a kit for the wagon. Even fewer for models such as mine with the air ride in the back. Yet KW comes through even though demand is probably low. Gotta love that! 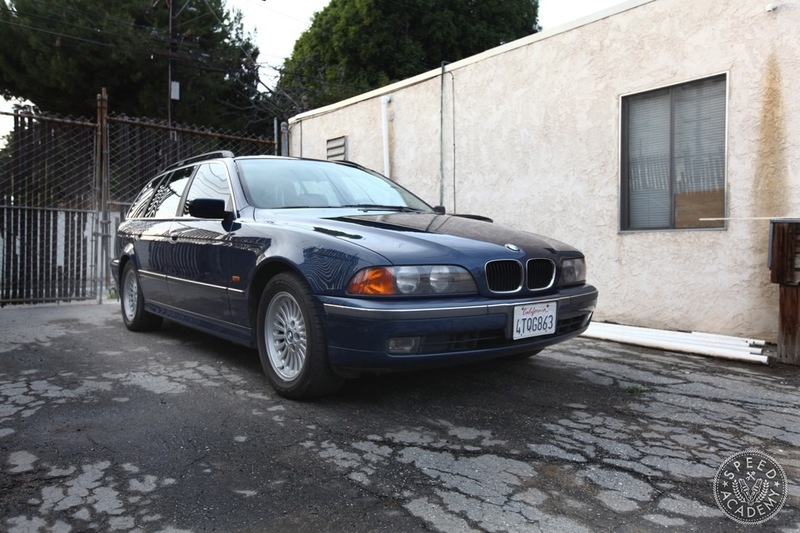 The thought of converting over to a coil setup (KW also offers that application as well) which some E39 Tourings come standard with crossed my mind but I decided against it since having rear air suspension is beneficial for what I want to use the wagon for- everyday use and hauling parts. 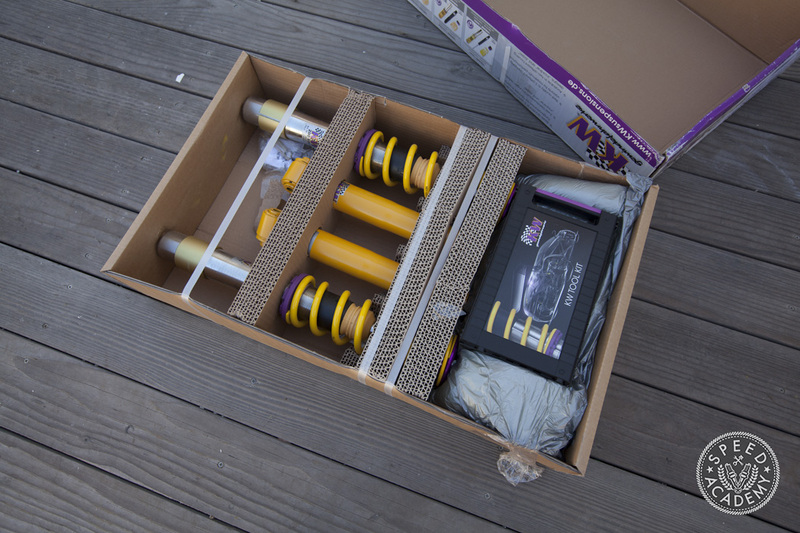 I ordered KW’s V2 kit which, of course is height adjustable but unlike the V1 version it has dampening adjustment. 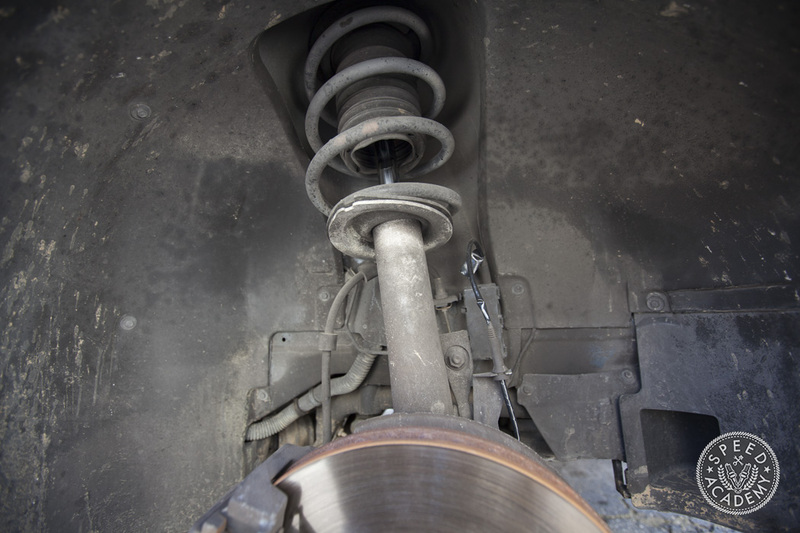 I love to tinker and dial in my suspension so in my opinion, it’s worth the added expense. That way you can set it up to carve some canyons when you want or float down the highway during a long road trip or the daily commute. 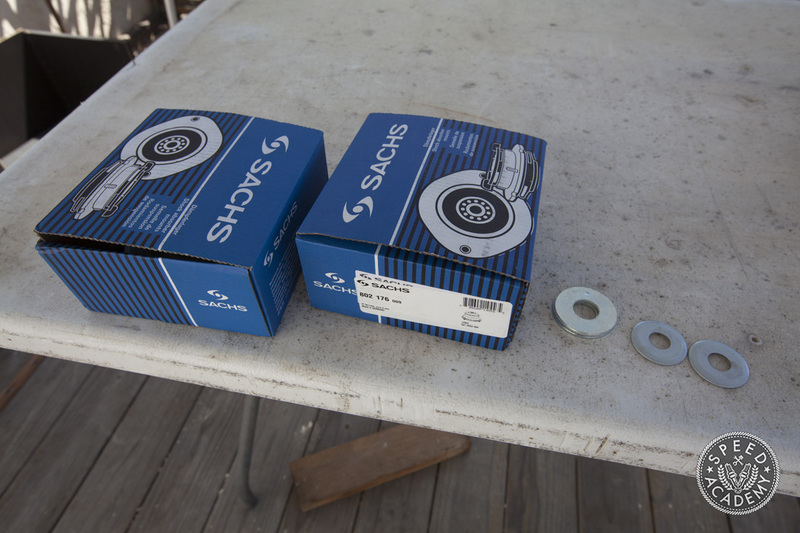 Before you go removing the factory front strut and spring combo you’ll want to crack the top mount nut loose. 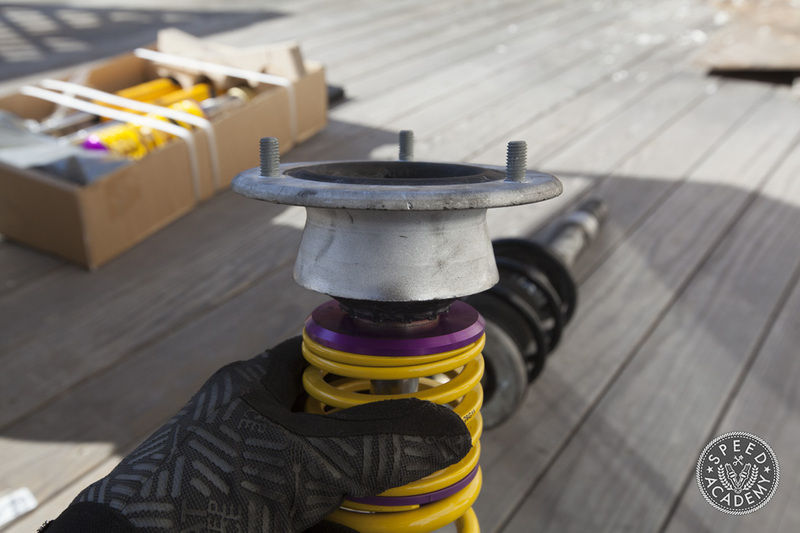 It holds the spring and strut housing together and is much easier to loosen where there’s actual load on the suspension. If you’ve got an impact gun its not as necessary but if you’re using hand tools it’s a must. 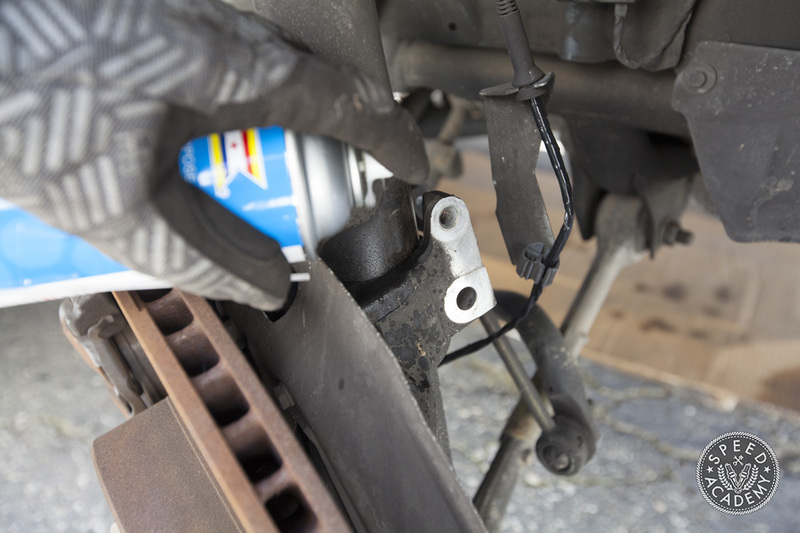 Once you’ve got the car up in the air and on jack stands, you’ll want to disconnect the ABS sensor and sway bar end link from the strut housing. 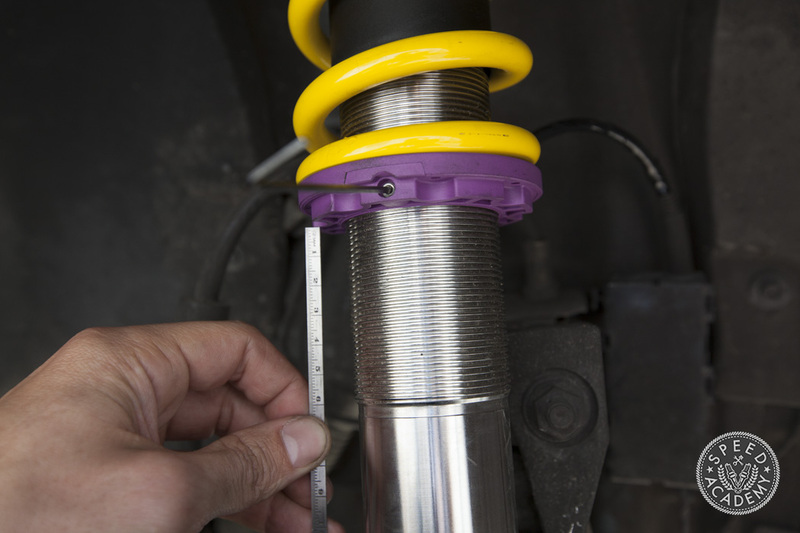 The strut is held in place by a 18mm bolt, crack that sucker loose and remove it. 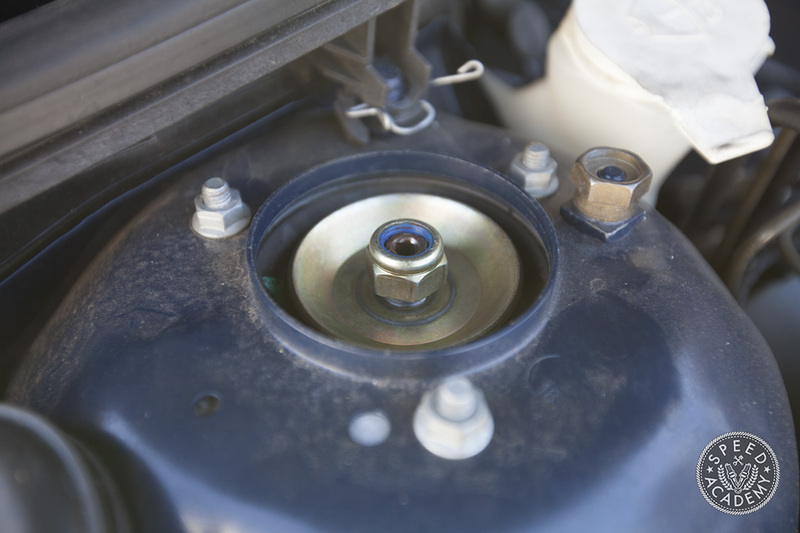 Jump back up top and remove the upper strut mount bolts. Now’s a good time to soak the strut housing with lube so it’ll be easier to remove in a few minutes. 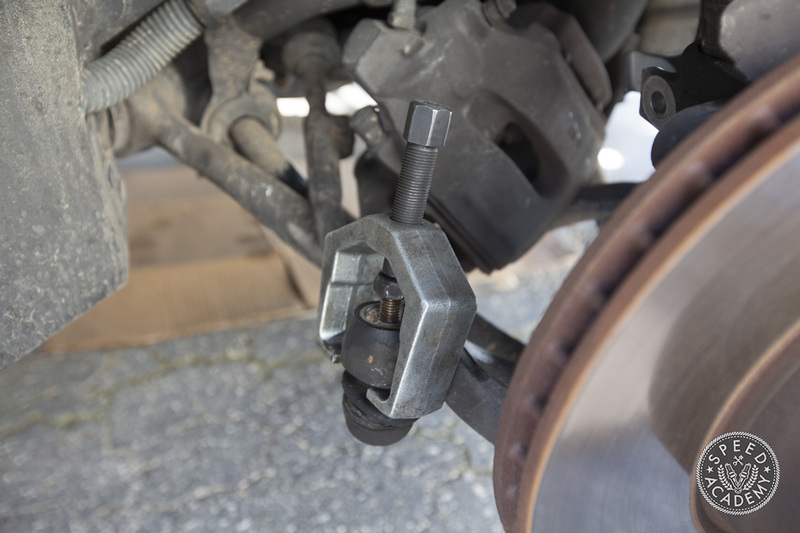 The caliper has to come off since you’re going to swing the entire strut/hub assembly outwards and the brake line will get caught up if you leave it on. 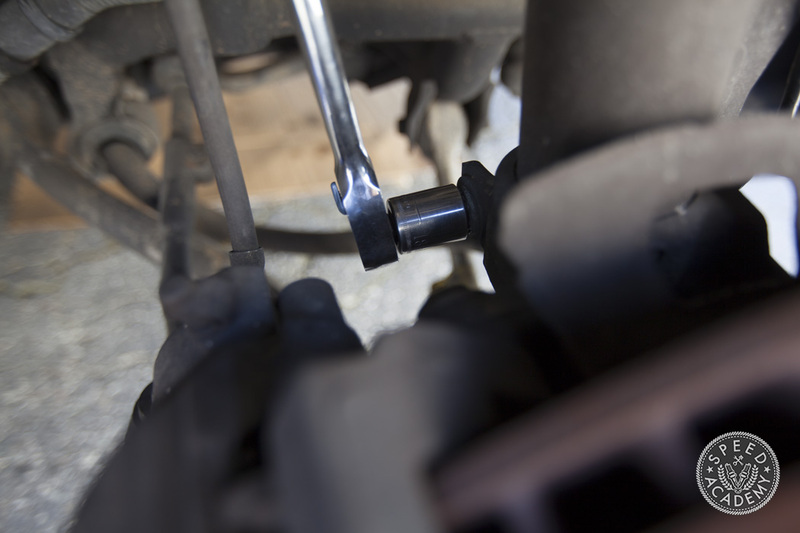 You’re also going to have to separate the tie rod, a puller will make this job quick and easy. 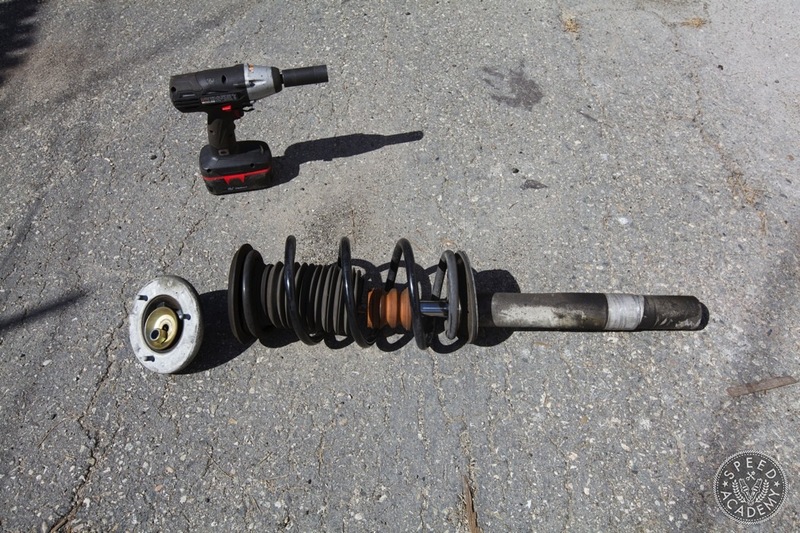 These tools are available to rent at most auto parts stores but if you do a good amount of suspension work they’re not expensive to buy and come in quite handy. This is the not so fun part. Push down on the strut as hard as you can, far enough so that it clears the fender and slides out as shown. It may take a few tries to get it out, having a friend to help is a good idea. The alternate method is to remove more control arms but this way is quicker in my books. In all likelihood, the strut isn’t just going to slide out of the hub. Especially if it’s never been replaced so you’ll need to pry open the housing just a tad. A pry bar or a punch will do the trick. Once the assembly is out, you’ll have to reuse the top housing, washer, and nut. 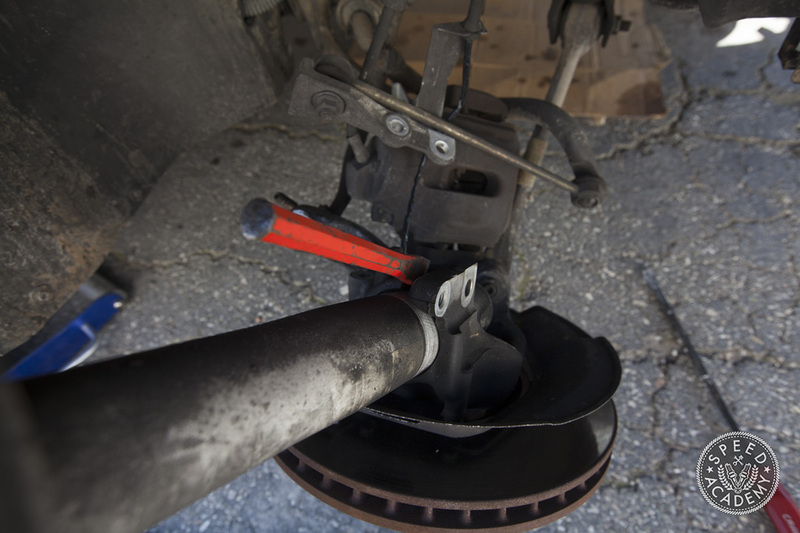 Having a spring compressor is great but if you don’t you can grab two tires and position them at the bottom of the strut and slowly loosen the nut off. Eventually it will fire the strut into the tire. BE SMART AND SAFE, this method can hurt you so don’t be a dumbass about it. In my case, I actually couldn’t reuse the top mounts because they were different then what KW has designed the suspension to work with. 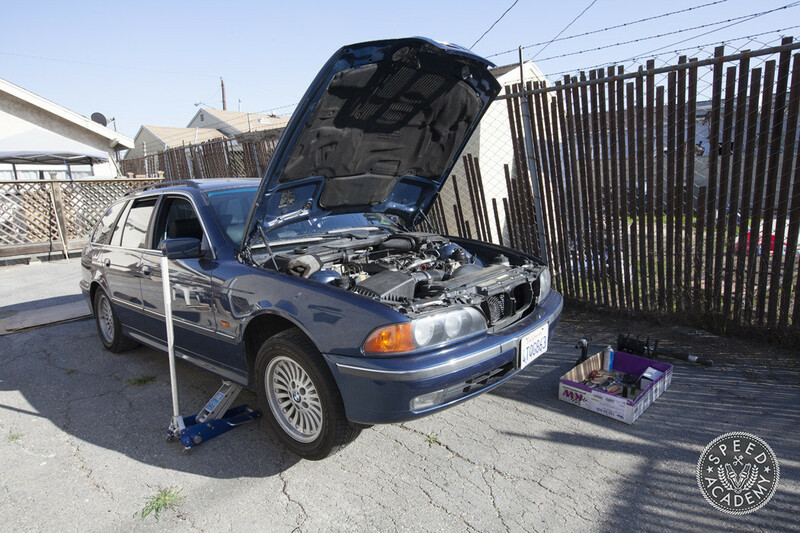 There are a few different types of E39 top mount setups so be sure to know what you have and will need. In any case, I suggest replacing the top mounts with new ones anyways since they’re old and probably worn out. And just like that, the top mounts are mounted up onto the KW coilovers. 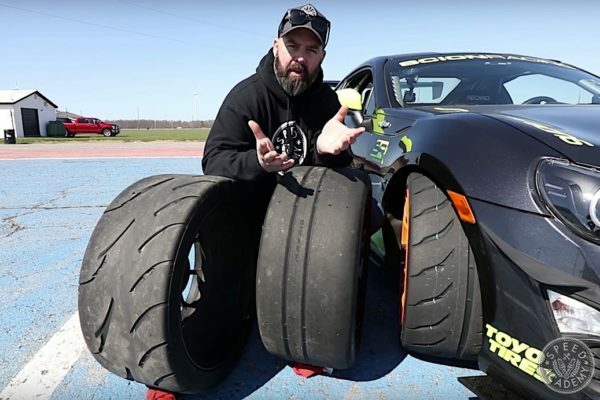 I bet some of your are wondering why KW doesn’t use pillow ball setups like most coilovers on the market. The answer is comfort, durability and compliance. Pillow ball top mounts are for race cars and running them on the street provides a more harsh ride then needed. Plus,they wear out fairly quickly when driven daily. This setup is the right way to go for comfort and added handling performance. 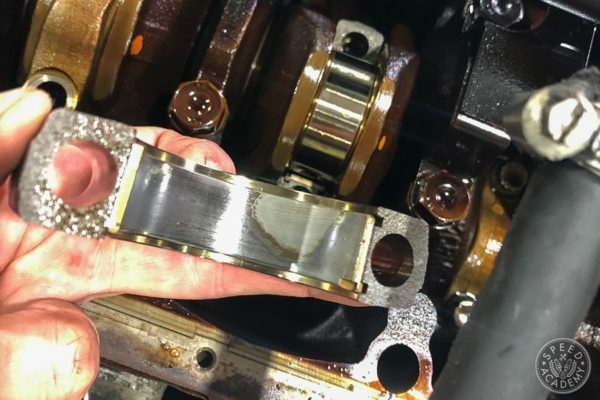 Just like the suspension came out, it goes back in. 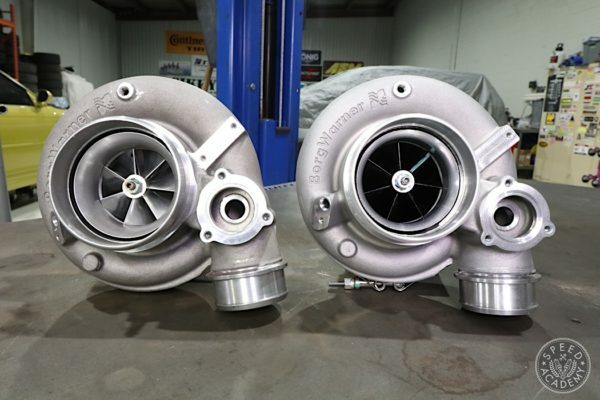 This time around it’ll be easier because the KW housing is actually shorter then the stock setup so you wont be fighting with it to clear the fender. Looks good doesn’t it. Simple, clean and most important of all, effective. Don’t forget ride height adjustment! Measure each side and make sure they are relatively close. Then adjust accordingly to your desired height. I like to run most of my cars at what I call ‘Gentleman Low’. I define it as; lowering the car enough to remove a good amount of wheel gap but high enough where the suspension retains all of its function. It won’t scrape everywhere nor will you panic at the very sight of a pothole or road hazard. 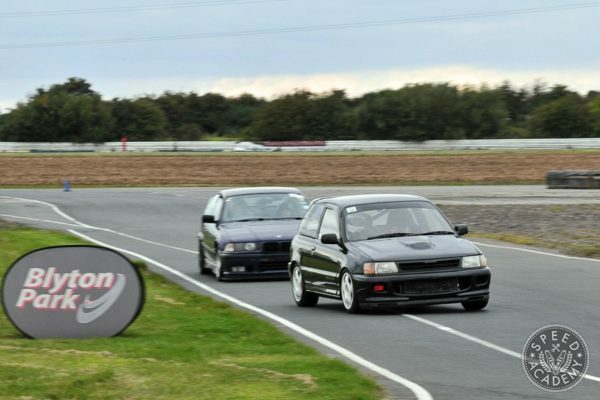 More so, to the common passerby may not notice the ride height drop but to the car enthusiast it’s very clear. 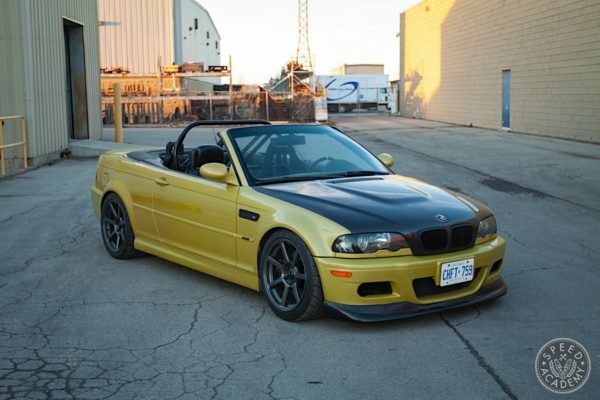 6 Comments on "Going Gentleman low with our E39 BMW Touring"
Wait a second, why is one of the rear V2’s a Koni Yellow? 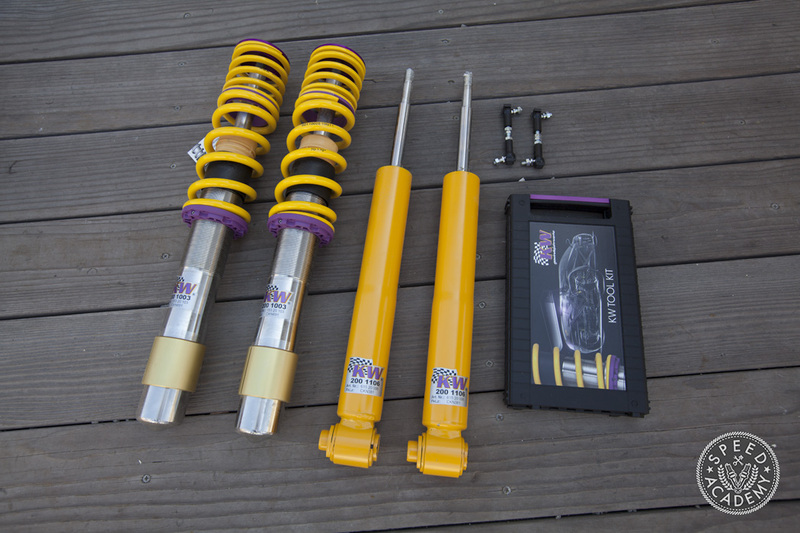 KW uses Koni shocks in the rear of this setup. I was surprised as well when I installed them! What you see in the photos is where the ride height is set to. 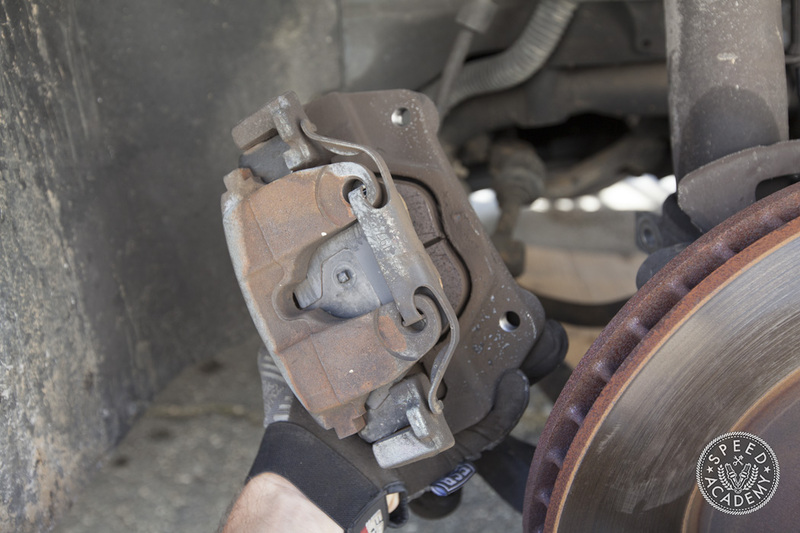 Air springs normally ride controls your ride,but the thing is that all air suspensions share a common problem of air leaks.And when a system cannot hold air it became flat. 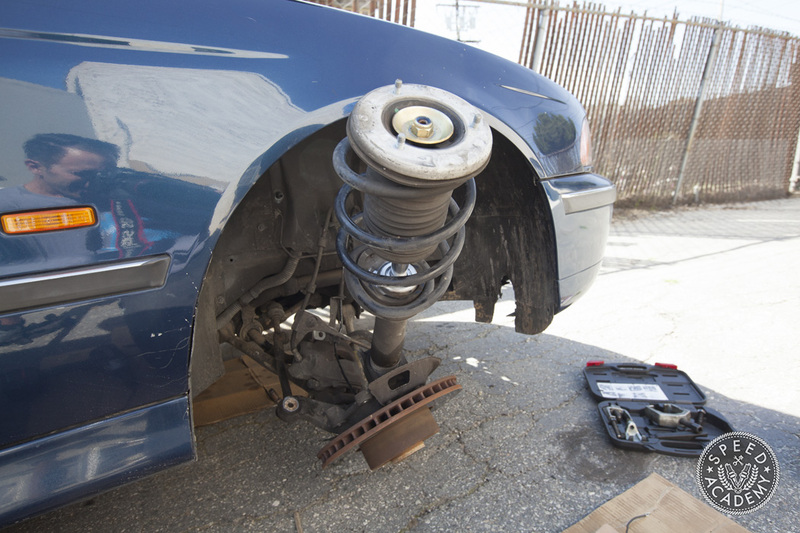 When an air ride suspension system goes flat,it is very expensive to fix.As original equipment parts are so costly.